What started almost hundred years ago as a small grocery shop from home, grew into a solid company in the seventies. Under the inspiring leadership of Ab Bakker was Den Helder Stores BV in those days the main supplier to most ships in the port of Den Helder. Den Helder Stores BV became with the directors Ed Jansen and Jacqueline Bakker, the fourth generation Bakker, an all-round supplier of food, non-food, facility and technical products. They deliver daily in all ports of the Netherlands, Germany and Belgium. In 2009 Den Helder Stores BV build a new warehouse on a new location with a highly modern logistics and quality control. The warehouse at the Schrijnwerkersweg is designed to organize, plan, manage and execute the flow of goods very efficiently and quickly. Den Helder Stores BV puts the customer always first. Our mission: “Our experts provide day and night optimum services for every ship and every offshore location”, emphasizes that we are always willing to go the extra mile to make a difference. By listening, asking the right questions and understanding the wishes of the customer, Den Helder Stores BV makes sure that 24/7 the same quality will be continued. With Den Helder Stores BV a deal is a deal! Den Helder Stores BV invests in long-term relationships. With our customer base we have established strong ties which are as important to us as our relationships with our suppliers. They are parties that we trust and we can rely on. This applies also to our team of professionals. A close-knit group of people who has been working with us for a long time. Our personnel has an excellent knowledge of the industry and like to go the extra mile. Due to their clear communication, flexibility and knowing how the ask the right questions, they know how to fulfill the clients wishes. 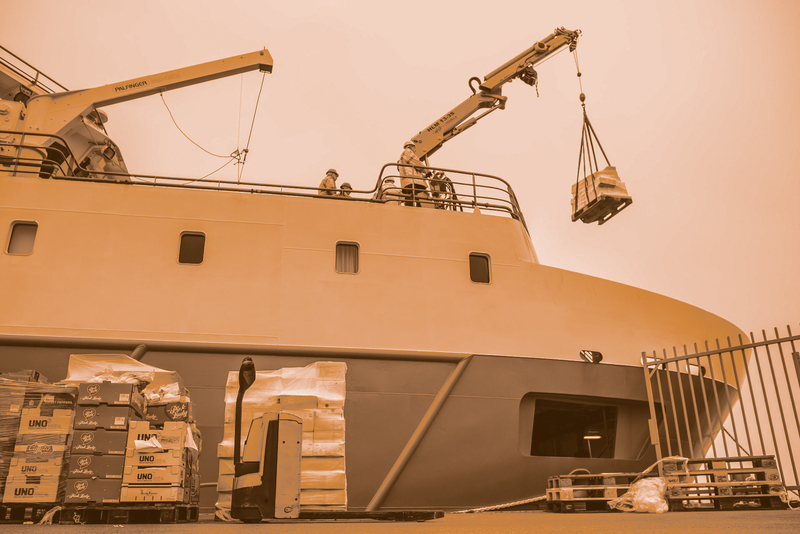 That’s how we ensure our mission to provide the same quality, 24/7 and that the right goods arrive on board at the appointed time. We believe that the right quality benefits the welfare of the crew. If our clients, suppliers, consumers and our employees are satisfied, then we have completed the full circle. Den Helder Stores B.V. makes the difference.